Photo courtesy of Troy Hodas. 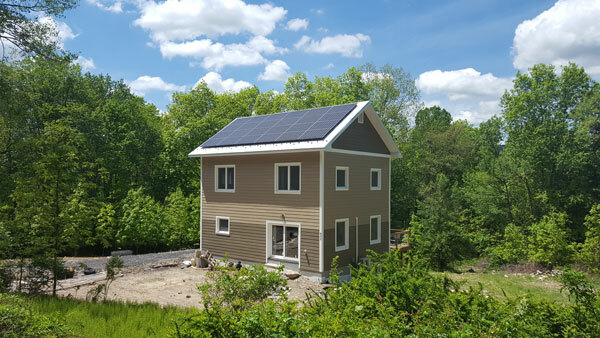 Small but sustainable family home built with ICF. He had heard of ICFs before the build, but had never used them. 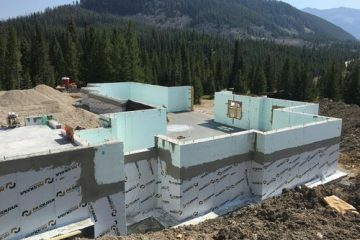 He began researching ICFs and realized they would meet his requirements for superb insulation and low maintenance. His single family, two-story, 1,980-square-foot home with finished basement abuts the Basha Kill Wildlife Preserve, so the family named the home Basha Kill Acres. 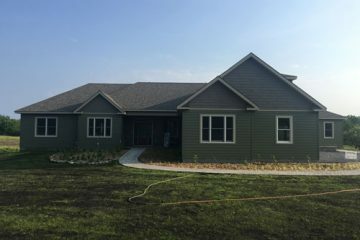 The home was constructed with Logix Platinum Series R-28 plus D-Rv R-8 insert panels, providing R-36 walls. Logix Pro Buck was also used in all window and door openings for complete thermal stability within the home. “Passive houses are super insulated with R-40 or R-60 walls, and to achieve that there are different strategies,” Hodas remarked. “Either double stud walls or a conventional wall system with a truss on the outside and filling that with cellulose. I looked at those options and it seemed for the time and effort and uncertainty of how that wall was going to perform moisture-wise, I just felt more comfortable going with a solid concrete wall. It’s super insulated on both sides. You have the thermal mass. You’re never going to have rodents coming in or bugs or anything like that. Hodas began his career as a builder back in 2005. He built homes through 2009, then focused on HERS ratings and real estate. He built a conventional wood frame home last year for a friend, then when it came time to build his own home, he did what he thought best. Even though the walls are 13 1/2 inches thick, the home has a nice use of open space and higher ceilings to make it feel more open and light. Counting the basement, the home is 2,304 square feet. 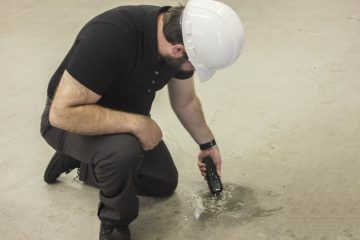 Hodas used R-70 cellulose in the ceiling and R-20 rigid insulation under the slab. Windows were triple-pain glass from Europe that covered the envelope. He chose a point source mini unit 9,000 BTU hyper unit to meet heating and cooling demand for the whole house and an UltimateAir 200 ventilation unit. Hodas chose a simple rectangular design to reduce complexity and cost. The more rectangle the home is, the more efficient it is. They started digging the foundation in the beginning of August 2016 and started stacking the Logix ICFs at the end of that same month. The family moved in in January 2017, including their baby who was born August 13. Engineer: Paul Mele, CITY, STATE?